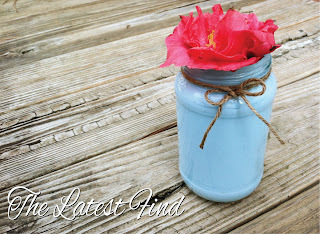 If you missed my first "Turn a food Jar into Spring Decor" post, you can find it HERE! That project used a pickle jar. Today's project uses a Prego Pizza Sauce jar! I've decided to re-use my empty food jars rather than toss them when they're empty! Since I forgot to snap a pic before I quickly got started tearing the label off, I'm using a generic pizza sauce jar pic. But that was the exact jar I used. It's slightly smaller than a spaghetti sauce jar. I used an acrylic craft paint for this one as well. Believe it or not, it's a different color than I used for the pickle jar, although they look about the same. When you apply acyrilic color inside of a clear jar, the color outcome is slightly lighter than if you were to use the paint on wood or canvas. Keep that in mind when picking out your color! First I washed out the jar with soap and water. I didn't let this one sit overnight, because in my experience with my pickle jar, the acrylic paint has it's own smell that definitely takes over any food smell the jar contained. But let it sit awhile, to get most of the food smell out, if not all. Sometimes labels are hard to peel off of jars, and sometimes they come off in pieces. 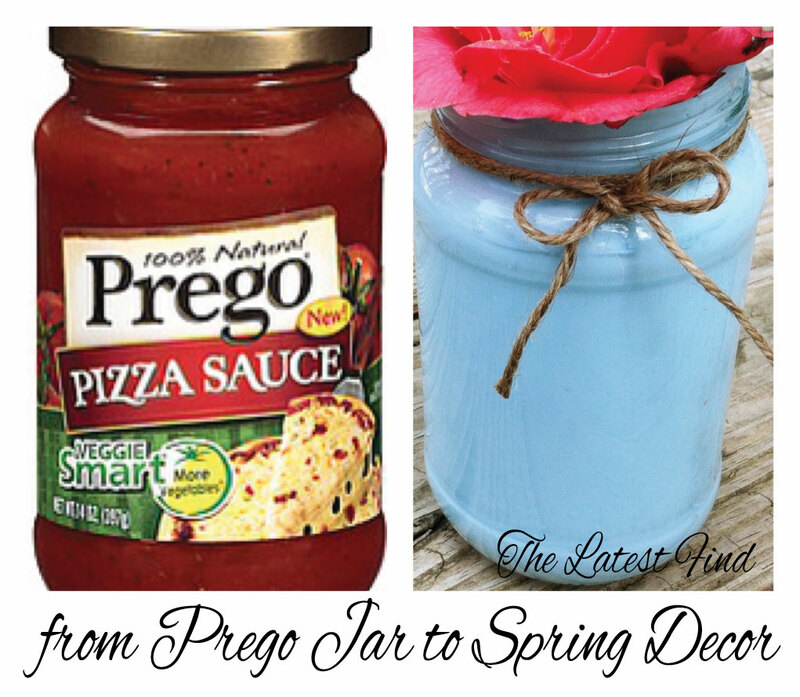 Use whatever method you've tried or product you've used to help get that gooey residue from the label off of the jar! It took about half of a small craft paint to completely cover the inside of the jar. I squeeze some paint into the jar, hold the jar horizontally, and turn it so that the paint starts to cover all the way around. I put in a little at a time rather than just squeeze a bunch in there, that way there won't be too much to have to let run out as it dries. Keep turning and tapping the jar (tapping helps too) and adding a little more paint until all of the glass is covered, then turn it upside down on top of a plastic or paper cup, to let the excess run out, and let it dry. Then add your twine, or anything else you want to use to finish off the jar! 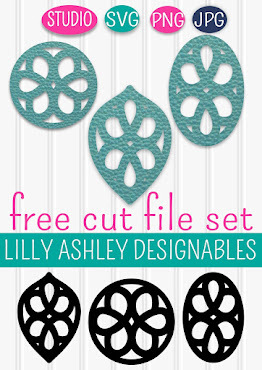 7/21/15 UPDATE: Click the Make it Create banner at the top of the page to head to our most updated posts full of free svg cutting file sets, printables, and digital paper packs! 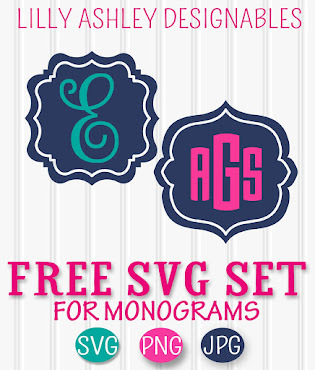 Check back soon for more freebies as well! Awesome! I LOVE this soooo much! What a great way to reuse "trash"!! awesome job! Thanks for linking up on Successful Saturdays! VERY cute!!! The possibilities are endless! !